16750km and counting. I’m sitting in the common room of a hostel/camping in Lusaka, Zambia. I am waiting for my parents, my sister, and my sister’s boyfriend, all of whom arrive in five days for what will surely be a special family reunion. My partner in crime for the past few weeks, Alessandro, is sleeping all day long to recover from malaria and bilharzia (yes, both!). I accompagnied him to the hospital yesterday. He had 40°C fever and could hardly remember his last name. It turns out that his blood is full of parasites. 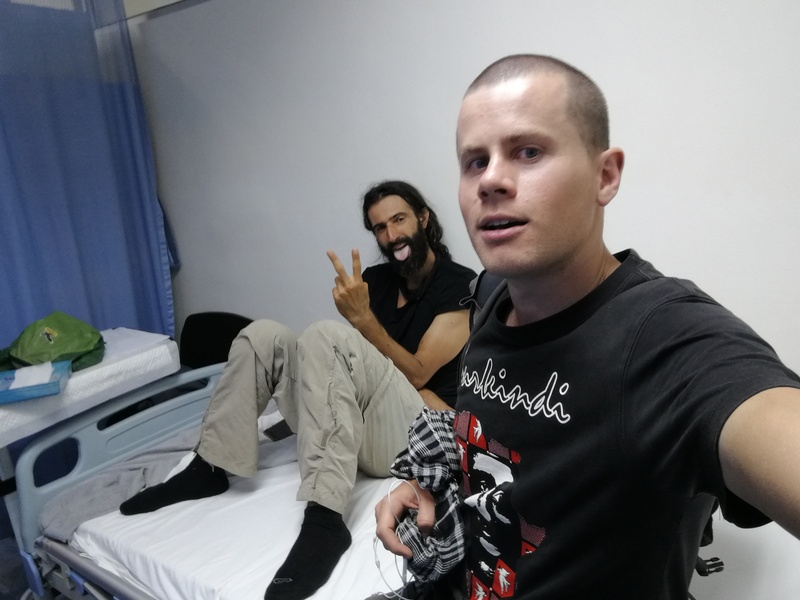 Whilst Alessandro is receiving intravenous injections with anti-parasitic drugs, I have time to fulfil a promise I made to Achraf in Meknes (read post #8): that I would read the Qur’an before reaching Cape Town. What better time to read it than during Ramadan? I’m sure Alessandro will be back on his feet soon, by the grace of Allah! 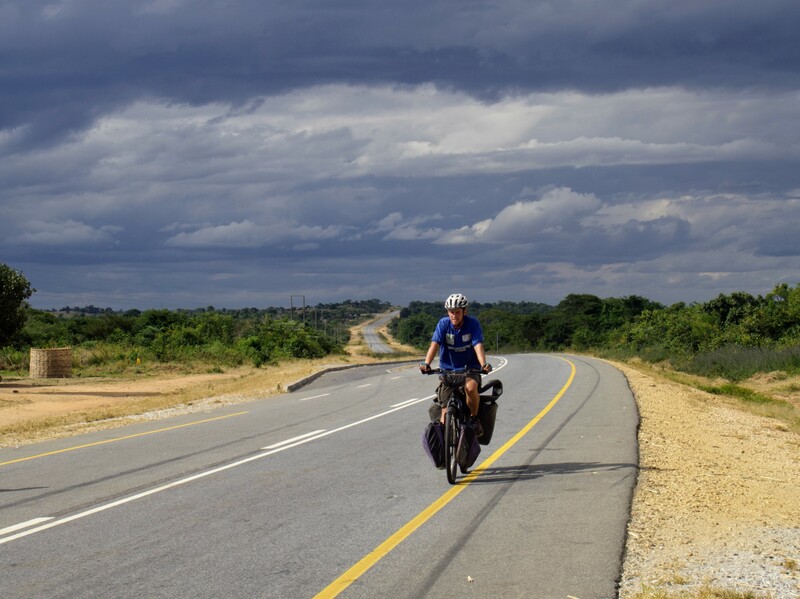 Since the last update Alessandro and I cycled on precisely one road: the ‘Great East Road’ that connects Lilongwe to the Zambian capital, Lusaka. This post consists of pictures along that road. Cycling with Alessandro has been a blast, it has also been quite a change from nine months of solo cycling. It’s nice to have long discussions about life on the go, and to share tricks and tips about cycling gear. Duo cycling is also less tiresome than pedalling alone, not only because I can avoid headwinds by cycling in the slipstream of Ale’s back wheel. Ale’s presence also allows me to cycle more relaxed. 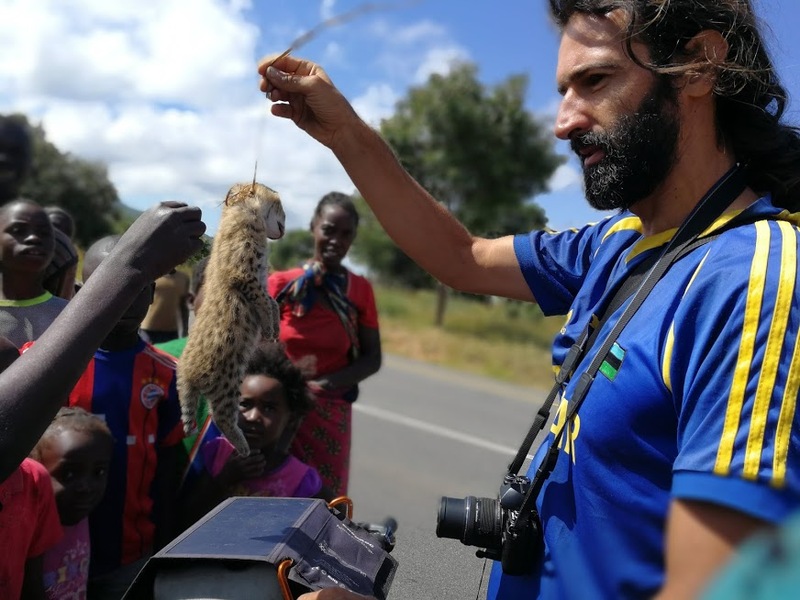 When I need a break from the continous attention our bicycles and skin colour attract, Alessandro talks to curious bystanders in villages or responds to “azungu how are you?! !” callers. When Alessandro is tired the roles are reversed. On Alessandro’s 40th birthday we left for the Zambian border. We celebrated his birthday in a bar at a tobacco farm, and arrived in Zambia the next morning. 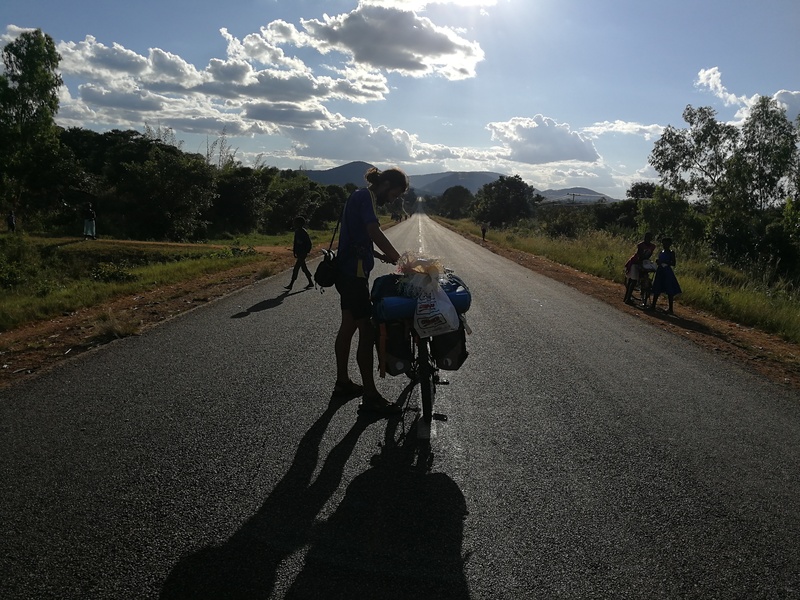 Last mile in Malawi, the hills are in Zambia. 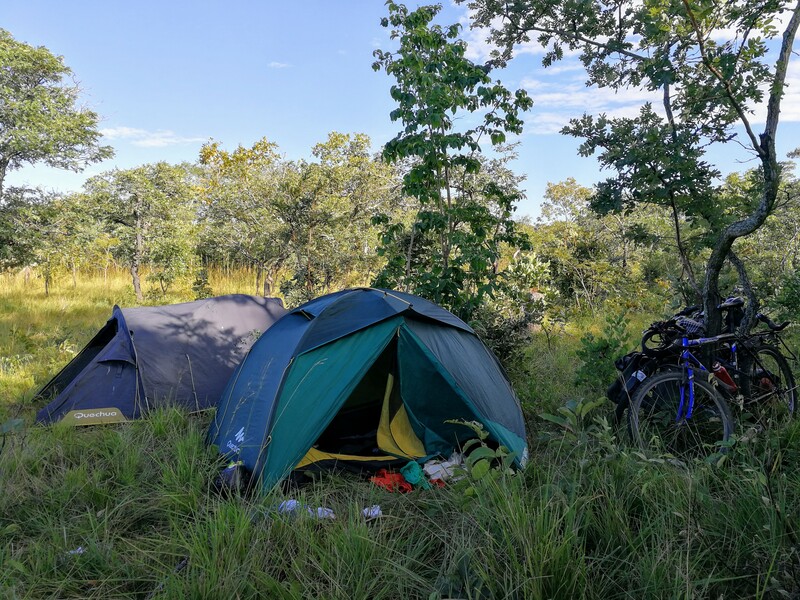 During the eight days we cycled the great east road, we camped wild six nights. 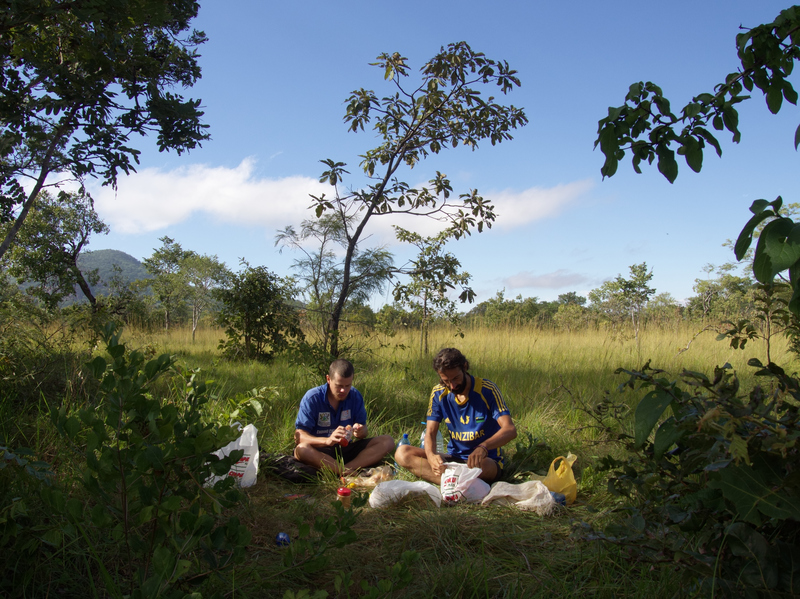 There’s lots of space along the great east road, as it is surrounded by nature parks. Also, guest houses are relatively expensive in Zambia, rarely under $20/night. By European standards that is still cheap of course, but I’ve grown accustomed to $3/night in East Africa. For that price I gladly accept occasional bedbugs on the sheets, and insistent prostitutes knocking on the door. Anyway Alessandro and I did find some great spots to camp, for free!! 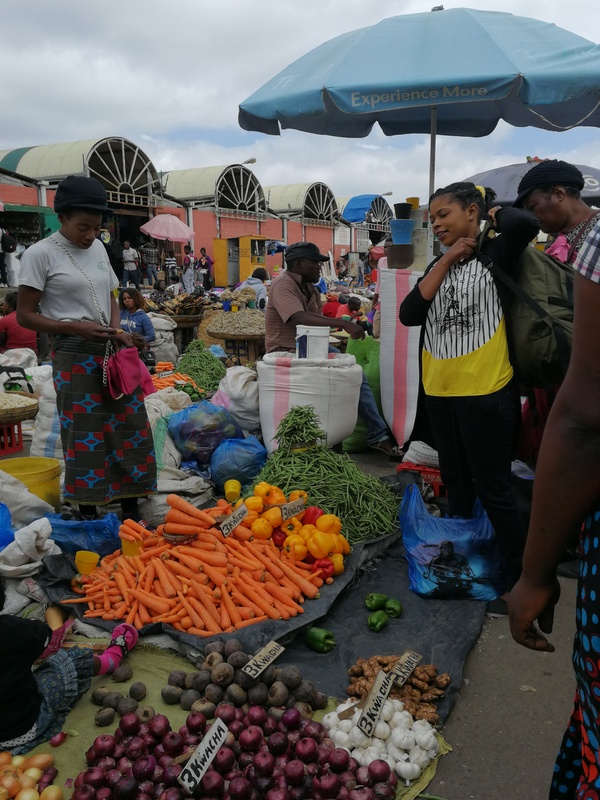 Apart from Chipata, east Zambia’s main city, there are only small villages along the way to Lusaka. Luckily I still carried canned food. 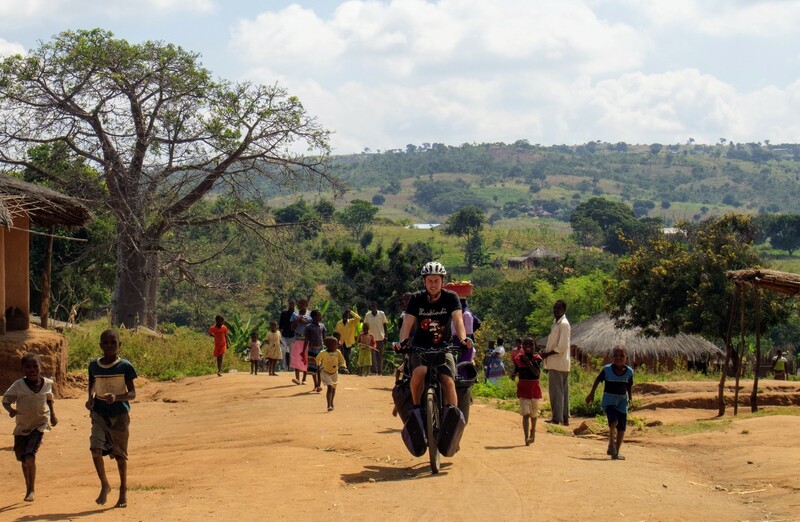 Company along the way – locals use bicycles to transport food and charcoal. One evening we couldn’t find a suitable spot to camp. 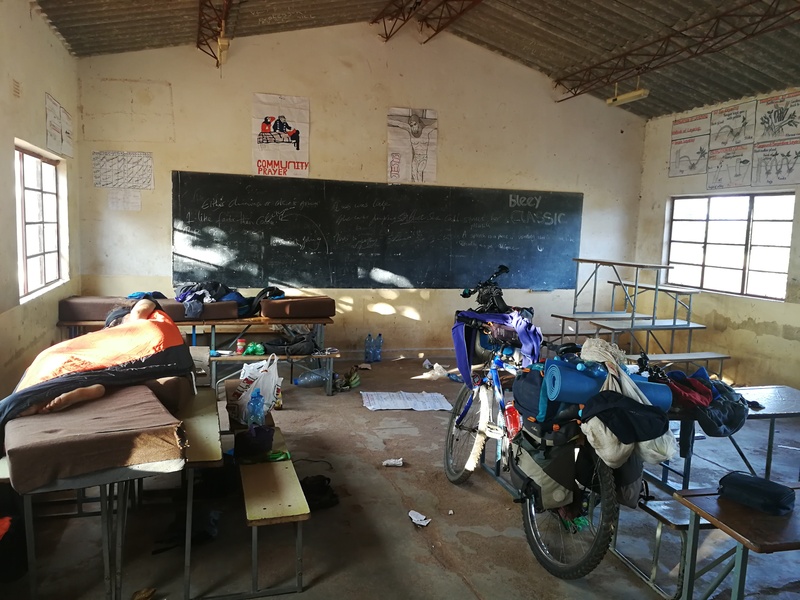 When we explained our situation to a shopowner he directed us to an empty school. The school guard kindly gave us pillows to turn the desks into beds. 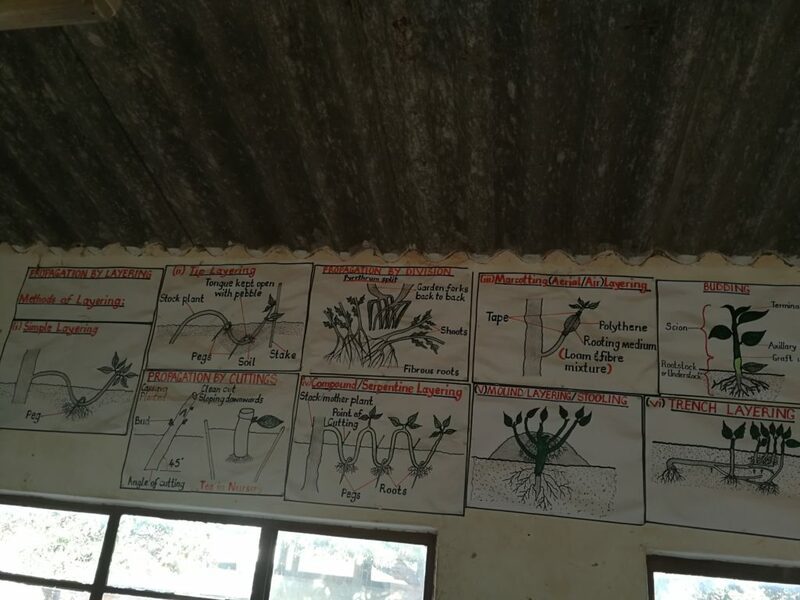 The classroom in which we slept was filled with posters about agriculture, namely different sewing and planting techniques. The next day we carried on. 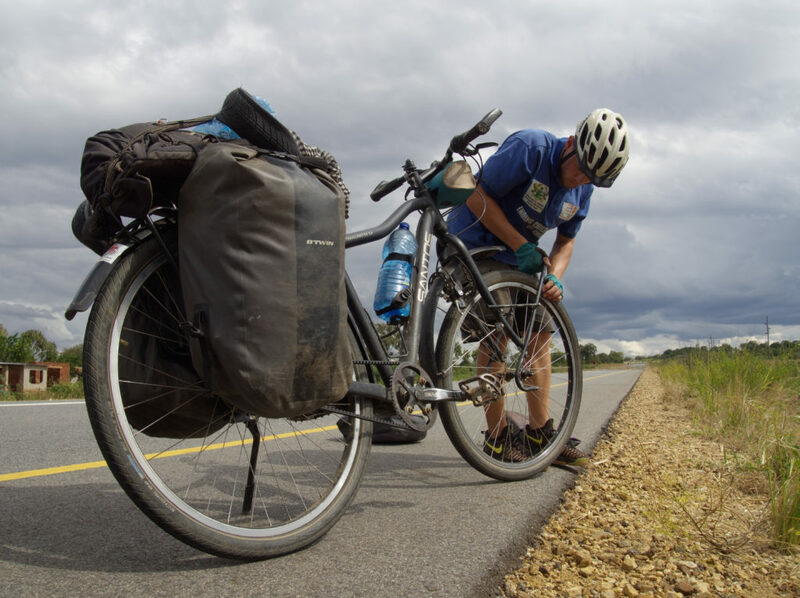 The entire 715km to Lusaka were hilly and green. Although the road is in relatively good shape, occasionally I did get punctures from steel wires. These wires are leftovers from ruptured truck tires. The ride was very smooth. The only strange event that occurred was a group of children who bragged with a dead hyena pup they had killed. They tried to sell it for 40 kwacha ($4). Alessandro, who’s vegan, spent 15 minutes googling how to say “killing wildlife is bad”, but I doubt that his message came across. 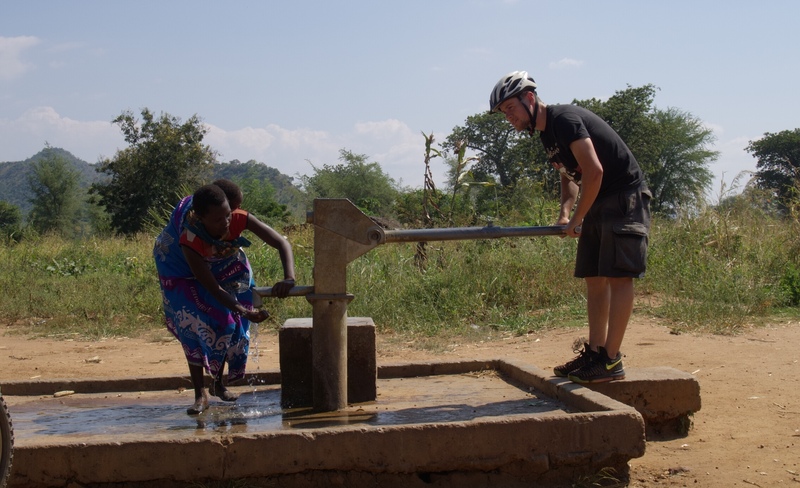 Since Malawi I rely completely on water from wells. Alessandro is making the transition as well. 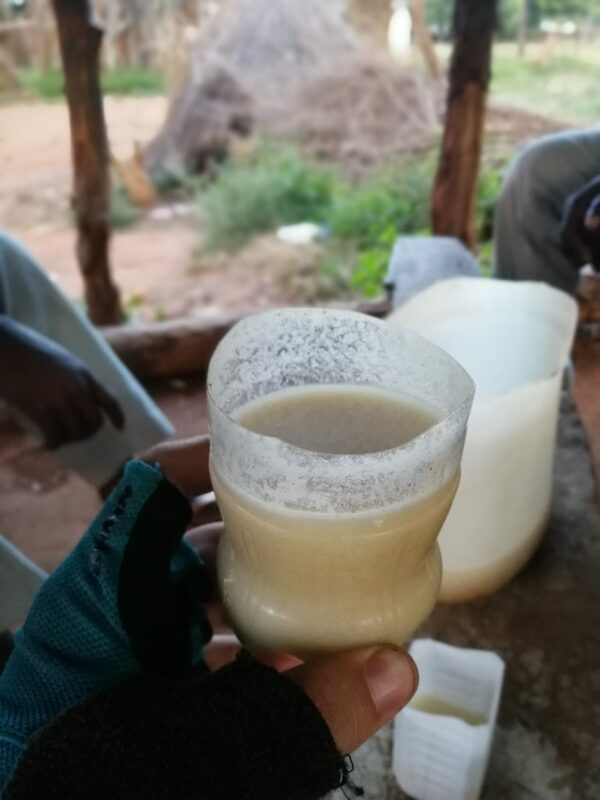 In remote areas it’s hard to find bottled water in containers larger than 50ml, and I drink at least six litres per day. Luckily, wells can been found everywhere. Alessandro and I are always the only men at these wells, as fetching water is traditionally a woman’s job. Selecting a well to drink from is a craft on its own. You need to make sure there’s no cattle around, to avoid E-coli bacteria. A second criterion is the usage frequency. Water from a well that is rarely used tastes like iron. 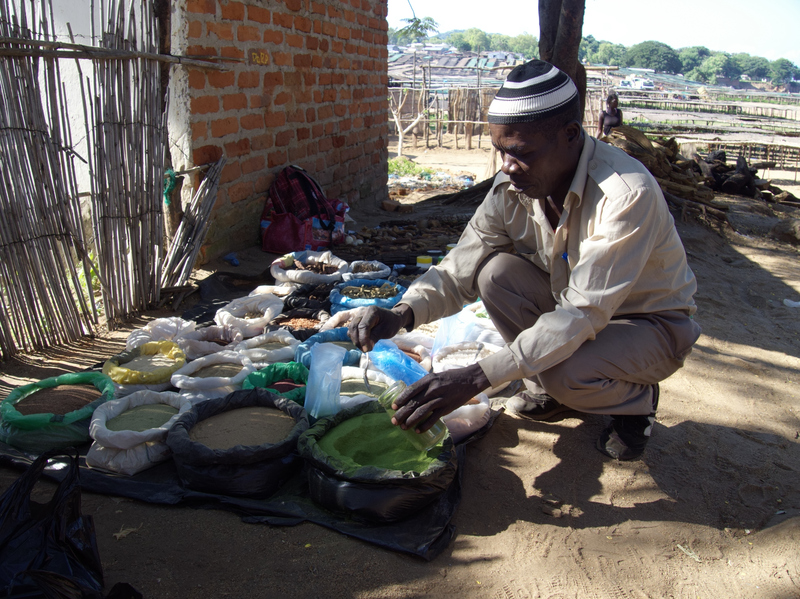 Lastly, I use moringa, a super food used by vegan body builders that grows naturally in Malawi, for a better taste. One drink you do find a lot is moonshine, home brewed alcohol. The ingredients and the alcohol percentage vary greatly. We are offered different kinds of moonshine regularly. I never take more than a polite sip, because I’ve read that it can turn you blind if it is not cooked properly. Also, I don’t like what it does to rural communities, entire villages seem to be addicted to it (not just in Zambia). 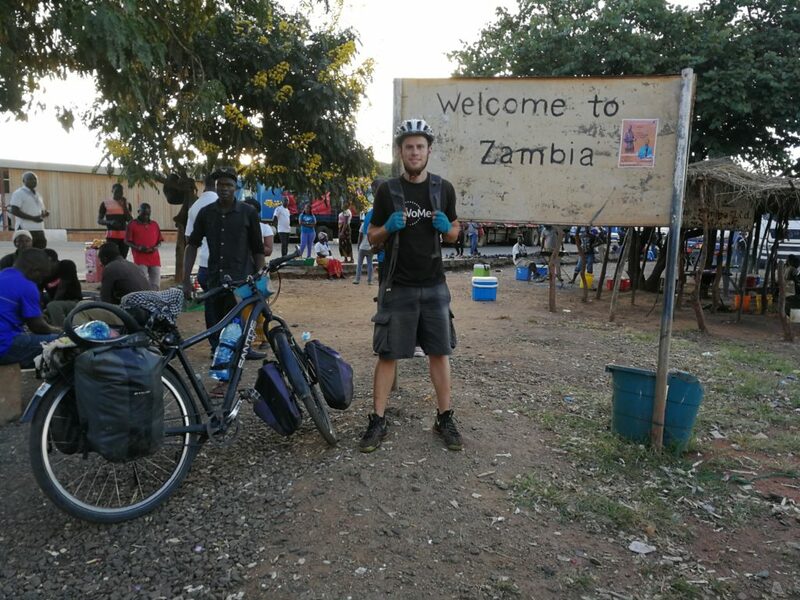 After 715km we finally arrived in Lusaka. Alessandro’s bicycle is being repaired, so I give him a lift when he needs one. I will rest for a few days before going around sightseeing with my family. 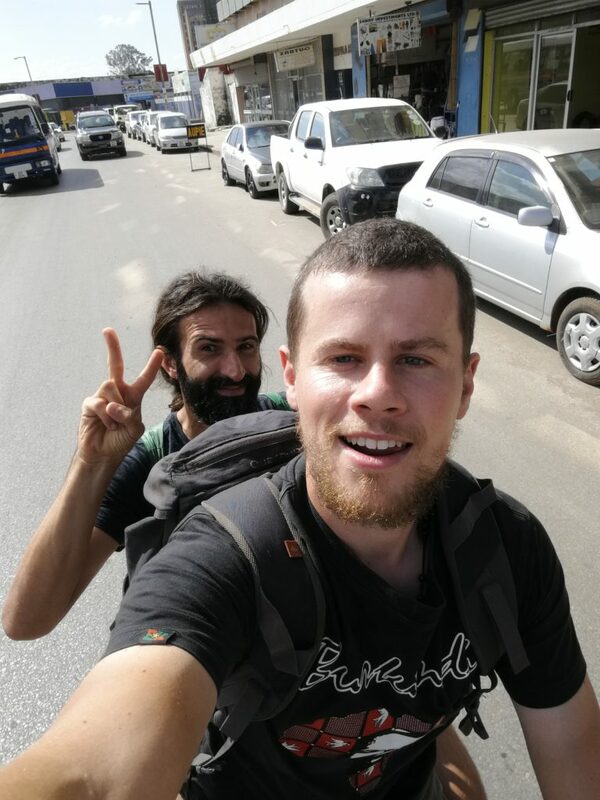 Alessandro will continue towards Botswana when he feels recovered, and I will cycle to Namibia after the family visit. So I will be cycling alone once again. Our bromance has been fun, but I do believe that cyling alone is the most intense way of traveling. I can’t wait to write about Namibia! As always: great stories and lately (thank you Alessandro..!!!) more people-pics! that final point you’ll have to switch from Castle beer to an Aaantwaarps ‘bolleke’ in den Anker !!! Keep’m coming – enjoy the Etosha before you get in the Kalahari…! Ik volg met veel aandacht je trip en geniet van je foto’s en je verhalen. is ook veilig op zijn bestemming aangekomen. Ik hoop voor jou hetzelfde. Groeten van een ex -Moerbekenaar. Je vois que tu tiens toujours le coup (franchement je sais pas comment tu fais, après 100 km moi je suis mort) et en regardant bien tu as même bronzé ;). Continue de vivre pleinement cette aventure unique et merveilleuse. Merci Dominique! J’espère que toi aussi tu profites de ta famille et de l’été (bientôt). groetjes uit Windhoek. Tot binnenkort! by now you will have had your family reunion, so happy for all of you. We had one just as your blog #20 came in. So I shared your story and pictures with my grandchildren (3 and 7 years old). Needless to say that the picture with the dead hyena pup had their attention. They asked me “why”, the most difficult question in live! Keep those stories coming, I have now 2 pair of eyes looking over my shoulder.